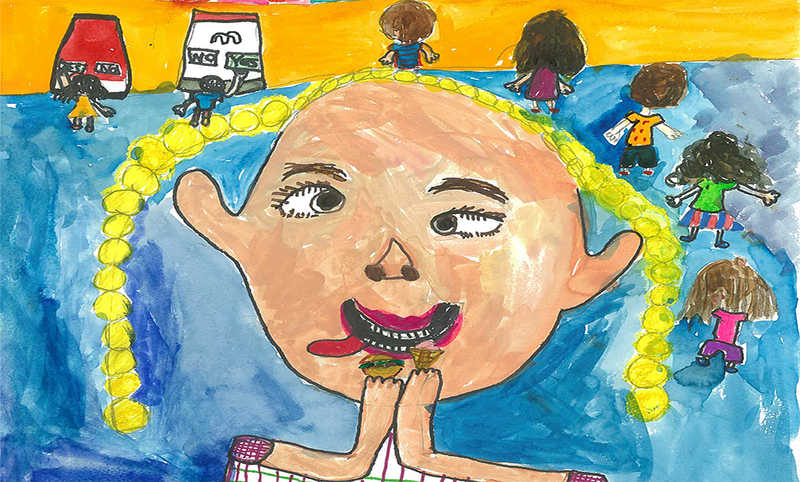 Budding artists between the ages of 5 and 18 were invited to submit a portrait for the Young Archie competition, as part of our family-focused activities for the Archibald Prize 2016 regional tour, on exhibition at BVRG from 24 March - 13 May 2017. The portraits are of a person who is special to them and plays a significant role in their life. The competition was judged on merit and originality, by Lucy Culliton, noted contemporary painter and finalist in all three of Archibald Prize 2016, Wynne Prize 2016 and Sulman Prize 2016. Winners were announced on Friday 24 March 2017 at the opening of the Archibald Prize 2016 regional tour exhibition at BVRG. Each finalist will receive prizes provided by ANZ. One winner was chosen in each category and winners will receive a $50 cash prize. All Finalists from each category are on exhibition in the BVRG Foyer Gallery and here on the Gallery website.